Hello everyone. How's your weekend? Ours is fine and we just spent it at home. Daddy Allan havs cooked a lot and I am so sure he will share those to you. Anyway, it was so hot yesterday that I wish we have a pool and swamp in there forever. But since we have no pool, I just content myself with taking a long shower. 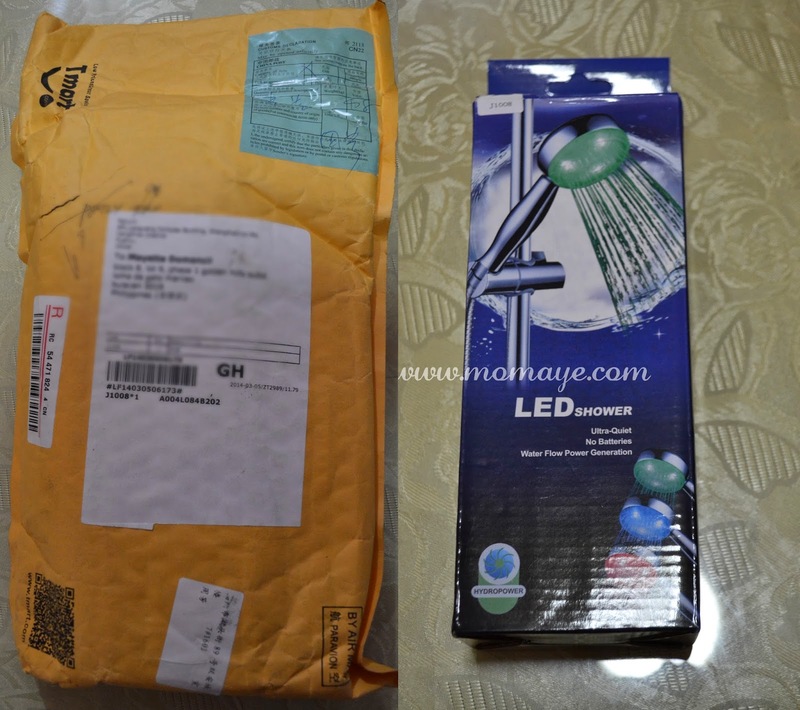 Good thing, I have received the Tmart Water Glow LED 7 Colors Changing Lights Shower Head from Tmart.com. I know most of the moms here have this "mommy guilt." It never go away even if you know you are doing all your best to me a mom. It seems like your best is never enough. I will not rant about it though. I just want to share what an always guilty mommy feels. So I have a 3-year old boy, who by the way will turn 4 in June. I work away from home and so his Daddy. I leave him from 6 in the morning until about 6 in the evening, in the care of his nanny and my mother. He's an active, smart boy by the way and look how adorable he is. Hello everyone! So it's Monday once again and it's another brand new week. Let me just share something before we go to our Monday Inspirational Quote. Lately, I have been so busy with my work, our online shop and with my mommy and wife duties. If you think I got used to it, no I am not. I am still feel overwhelmed with all the responsibilities and opportunities that come my way. Even blog opportunities and event invites are pouring too. Unfortunately, my time does not permits me to attend events and hopefully those who invited us will never get tired inviting us again in their future events. I would love to go but just like what I have said, I have limited free time. The other night, I was thinking what to blog about in the future. I almost have shared everything I know and you almost know my family right? I can't think about more interesting topics to share. I actually envy Daddy Allan who shares interesting posts on his blog. That's why I decided to change focus and make this blog a source of useful information too.This does not mean, just technical information but rather I will share my own experiences too. Happy 33rd Birthday Daddy A! Today, the very special man in my life celebrates his 33rd birthday. There will be no special celebration or getaway. In fact we will report to work today and I don't even got a gift for him. Although he's asking for an oven or a steamer, hmm a steamer yes! Seriously, I may not always tell him this, but I feel so lucky for having him in my life. It is never in my dream to marry my best friend but now, I cannot imagine myself being married to another man. He may not be the romantic, sweet guy in every women's dream but for me he's the best husband a wife can wish for. He's the master chef in the house, the plumber, the electrician, the sewer, the painter, the crocheter, the crocheter, the herbalist, the manicurist, the beautician... name it he can do it. He's the hardworking QMR, QA head, Chemist and Sampler. And you know what? After a long day of work, he still manage to cook for us, and help me with crocheting. He never complain, he's a good follower, lol! I think I cannot describe him enough but I know you know him through this blog of mine, through our family blog, and through his personal blog. Sige na Daddy A, I will greet you na. 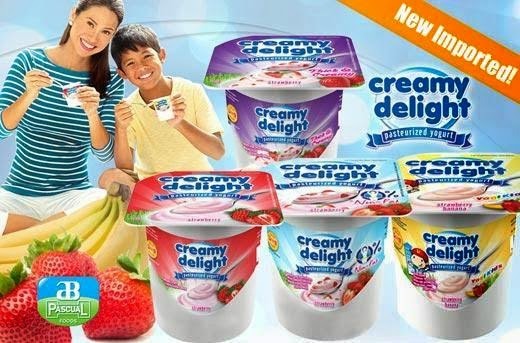 It's another brand new day and guess what, mid week na and heto pa malapit na din mag-mid month. Yay, we may not know it tapos na din ang March. So how's your week so far? Mine is not really good but like what I have said yesterday, I have my daily dose of happiness. That's why I always get through the bad day and still have a smile on my lips before I kiss the day goodnight. Moving to my real intention, haha. I joined kasi the Yarn Source Manila photo contest to make a cover photo for their Facebook page. Here's what I did. It's Monday once again so let us start this week with an Inspirational quote. True enough, let's not quit unless we already reach our limit. Hello everyone! How's your weekend? Yeah I know, it's Tuesday na. Our Monday started so busy that's why. This will be just a short and I promise to make up in my next post(s). It's already 4 in the afternoon and in a few minutes, I'll go home na. Yey! Oh before I forget, I am begging for your votes guys. Hehe. Please vote for Matthew's entry to Enfragrow A+ Little Artists. You know what this week I had some life realizations. I realized that it's hard to escape the past especially when you need to pay off something for what you have done. You cannot escape it and move on to your life just like that. You need to face it, settle and pay for it. Only then you can start a new life and finally let go of the past. My week has been so toxic since yesterday. I pray that everything will be okay in the coming days. 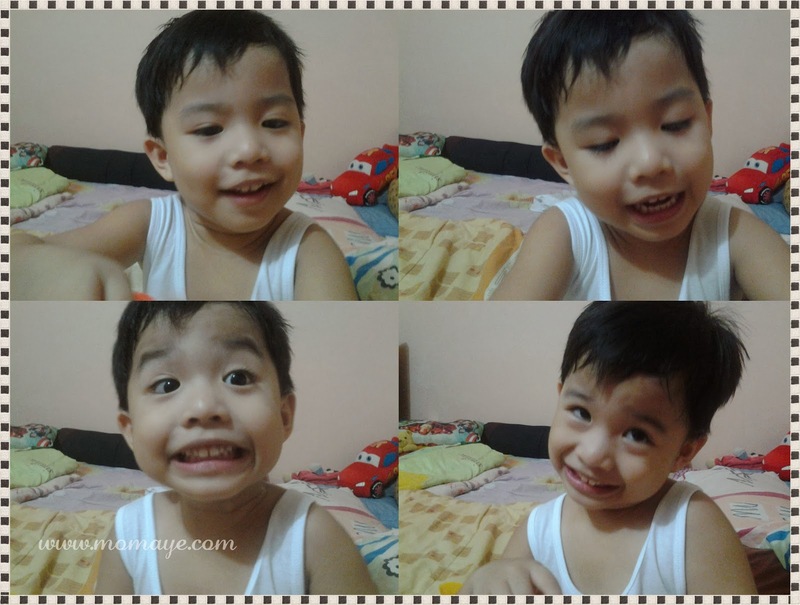 Thank God I have this little boy who never fail to make me feel better after my busy long day. You will love and hate him at the same time. Hello Monday! It's another work week and I know this will be a busy week for me. But first of all, let's start our week with our Monday Inspiration. 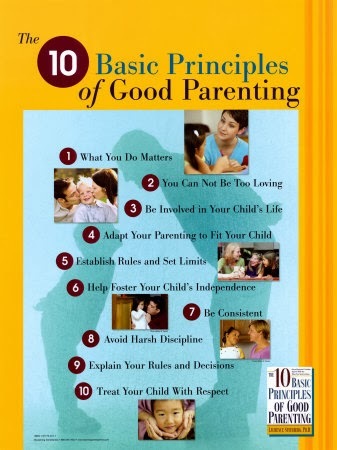 There's no such thing as perfect parenting. Just be true and real to them. Hello guys! Finally, my long week is almost over. Almost because I still have one meeting today with my group. I know, kinacareer ko na ang work ko. Hehe. I commit to give myself a chance to love my work again. You know, ever since I became a mother I always think about ways to be a work at home mommy. That made me hate my current work that has been a great help with our finances and expenses. I forgot that before I became a mother, I am a Chemist. So since two weeks ago, my every work day has been very busy. Time runs so fast that I failed to make a post regularly but at least I am trying to balance everything. But surprise me is that even with my so busy day, I don't feel much stress and in fact I am enjoying it. Though it's still my number goal to become a work at home mommy. Anyways, enough of reasoning, haha. Let me just share how my busy week went. I have never been this busy with my work and I can feel as the days passed by, lalo akong nagigising busy. It's all started when we started to have a weekly meeting. Because of that I have discovered that we need so many things to do, to document, to organize and to revise. Then last Thursday we had a group meeting. Of course, that means additional work to do. But like I have said, I like it. Ewan ko lang kung bakit, hehe. Hello guys! It's the 5th day of the March already and we can already feel the summer heat. Where did February go by the way? Speaking of summer, the Lenten Season is coming so fast too and today is Ash Wednesday. I did't remember it actually until we passed by a Church with the unusual number of people since it's not Sunday. We will attend the afternoon mass after work and I already anticipate the volume of people inside the Church. Anyway, let me just share a little about our homeschooling. The truth is I am not regularly teaching him nowadays. I let him do his business and watch over him instead. Luckily he loves to draw and write now. And if last time I have told you that he already knows how to write his name but he can't write that within the lines, now look at what he can do. It's Monday again that means the start of another busy work week. So let me start our week with an Inspirational Quote. It's not everyday that Joy knocks to our door so don't be afraid to let it in. Yey, it's Saturday again! Just like you, I always look forward to weekends. Though we really don't do special things during those two days, just spending quality time with our family is more than enough for me to say "I love weekends!" I bet you too! Anyways, last night while I am busy crocheting, Daddy came inside our bedroom with our manicure/pedicure kit. Seeing that kit reminds me of my aching toe fingers. And so I ask him if he can clean mine after he's done with his toe finger nails. Of course, he can never say no and he clean Matt's too.